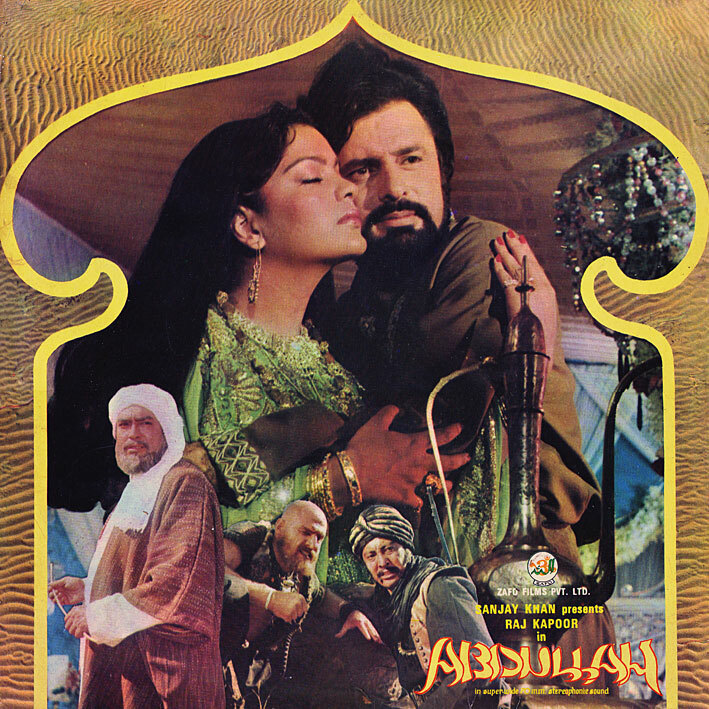 'Abdullah' might have been a better score had they left out the singing. Which I know sounds harsh, considering it features the likes of Asha, Lata, Rafi and Kishore. However their efforts here are forgetable, and if not for the inventiveness and distinctiveness of RD Burman's arrangements (much more than his compositions), this would be a bland affair. 'Dance Music' is arguably (and predictably) the highlight, but listen also to 'Om Jai Jagdish Hare' and 'Aai Khuda Har Faisla'; average songs that are made (almost) great by their instrumental sections. thanks, very nice stereo. Jashne Baharaan Mehfile Yaraan sounds great! Helen danced to this song in the movie. i CANT stop listening to this soundtrack!!! I feel the rafi song is sung better than the other ones. The long awaited ABDULLAH ! :) Thanks a lot man. Wonderful soundtrack. Absolutely disagree with your comments about singing... Abdullah is a singularly distinctive score with brilliant solos by Kishore "Ai Khuda", Rafi "Maine Poocha Chand Se" and Asha "Bheega badan jalne laga" and a light Middle eastern tinge to the music. Also, Abdullah is probably one of the early albums with a better recording. I suggest a few more listenings and the music will grow on you.